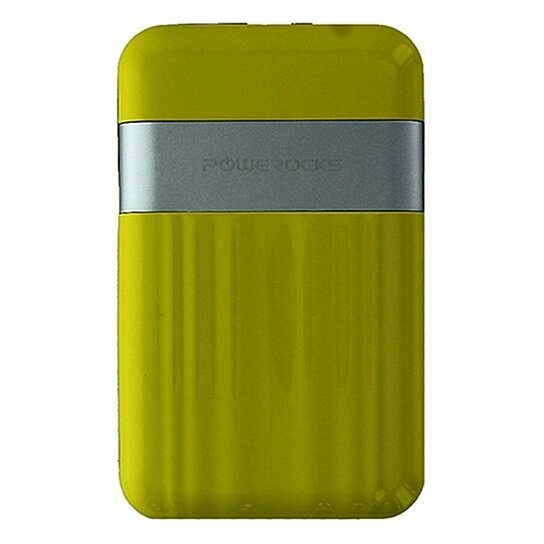 Powerocks brand ThunderPower Series Rechargeable Portable Charger with 9000mAh capacity. Glossy Yellow finish. 2 USB Ports, 2.4A Output USB and a 2.1A Output USB at 5V.